Mrs Garrett has been learning to play chess for the last couple of years and recently got the chance to put her new skills to the test, representing Woodnesborough against Broadstairs in the Walker Shield competition of the Thanet and East Kent Chess League. 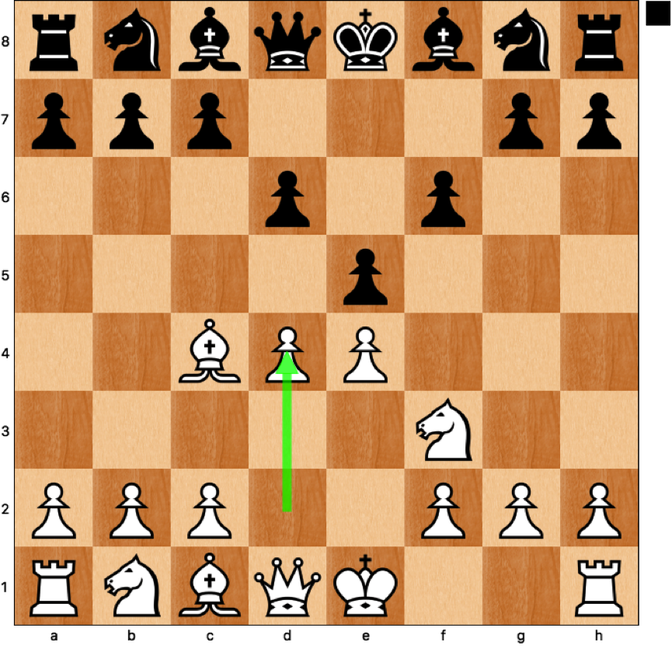 Mrs Garrett found herself on board 4, playing Michael Doyle (ECF grade 81). Each player would get 1 hour and 30 minutes for their first 36 moves and a further 15 minutes to complete the game - so potentially three and a half hours of chess lay ahead of her. Mrs Garrett has graciously given permission for the game to be shared here for teaching purposes. You can follow the moves on your own board, or click through the slide show below. Mrs Garrett played black. A great start by Mrs G. Her opponent placed a pawn on e4, looking to control the centre of the board and allow the f1 bishop to develop and she replies in kind, e5. 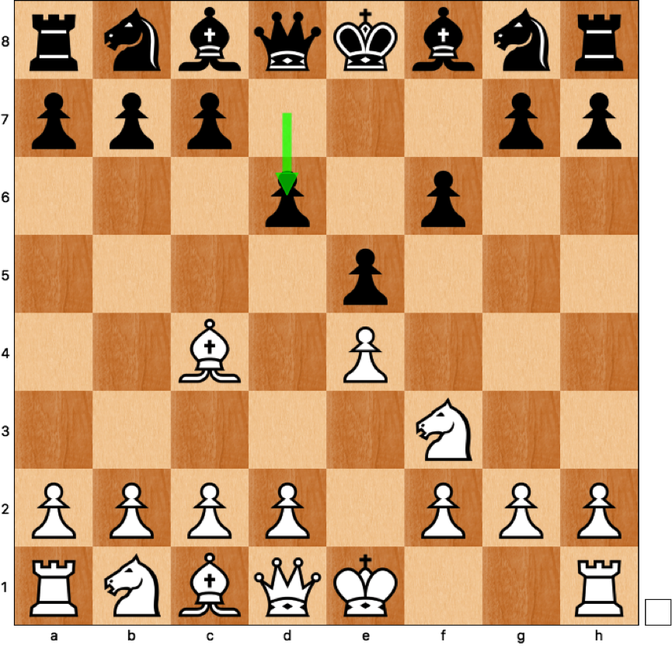 White develops a knight and in doing so attacks black's e5 pawn. 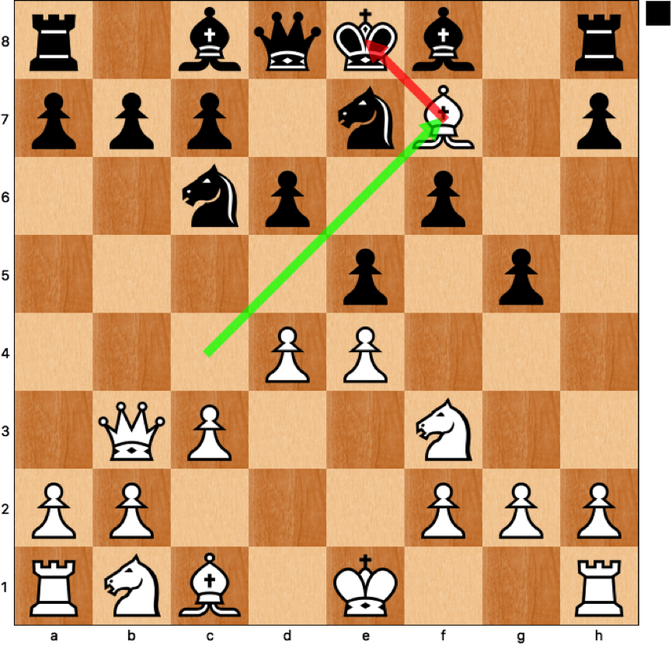 The pawn on e5 needed defending, so f6 makes some sense from that perspective. 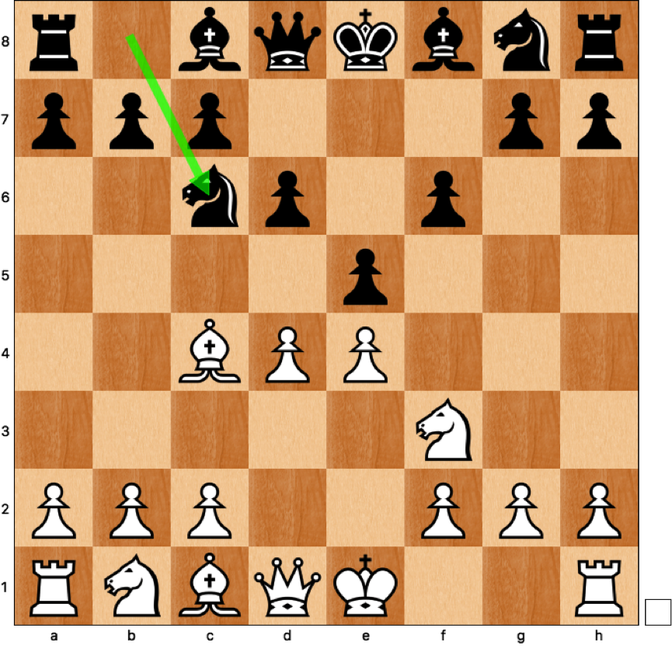 But f6 is the square that black's g8 knight is happiest on, and moving the pawn from f7 opens the diagonal towards her king. Much more usual (and better) would be to defend e5 with 2... Nc6. 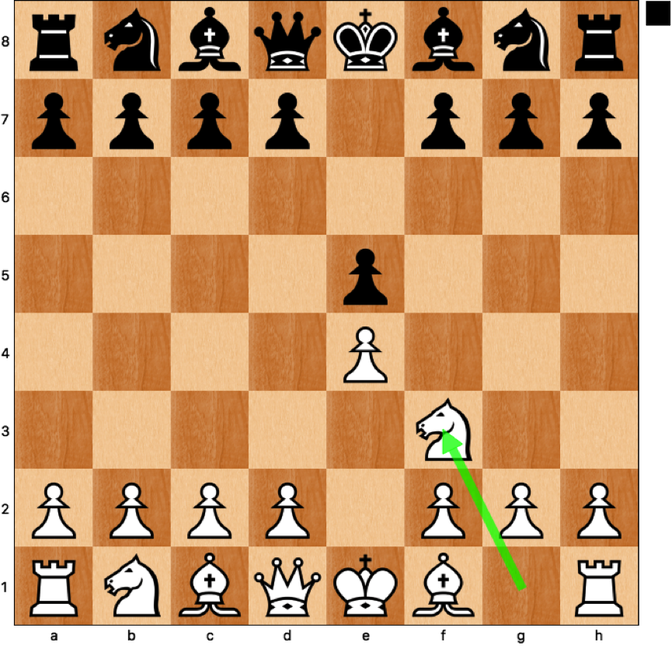 White sensibly develops his bishop, using it to attack the weak f7 square. 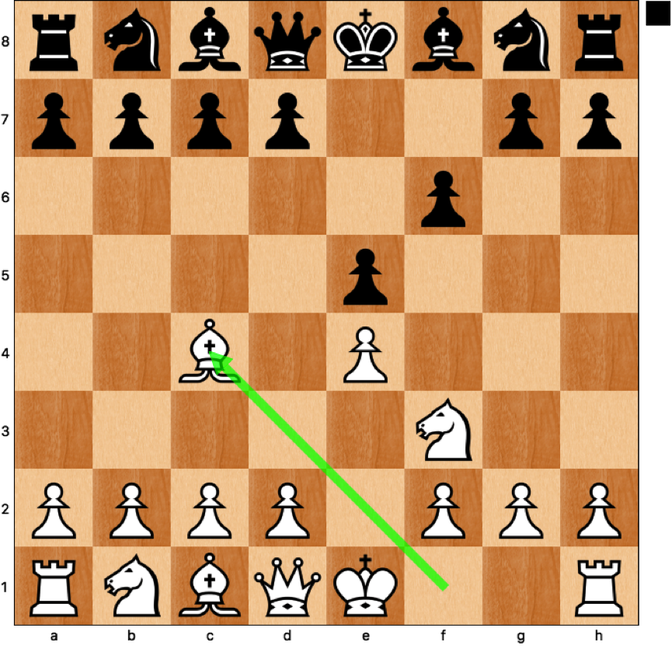 Mrs G protects the e5 pawn again and provides a route for her light-squared bishop to get out, but in doing so she blocks in the dark-squared bishop. Three pawn moves in a row now... Mrs G needs to develop some of her pieces! White continues to develop quickly. Attacking the centre and letting his c1 bishop out. Mrs G develops a piece!! A fine move! 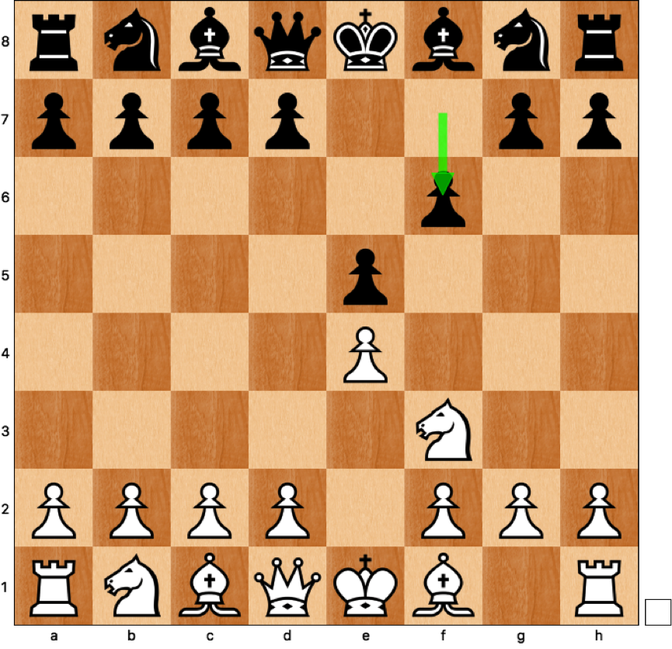 From c6 the Knight applies pressure to the centre and if black plays d5, attacking the knight, the blocked pawns will reduce the power of black's light-squared bishop. 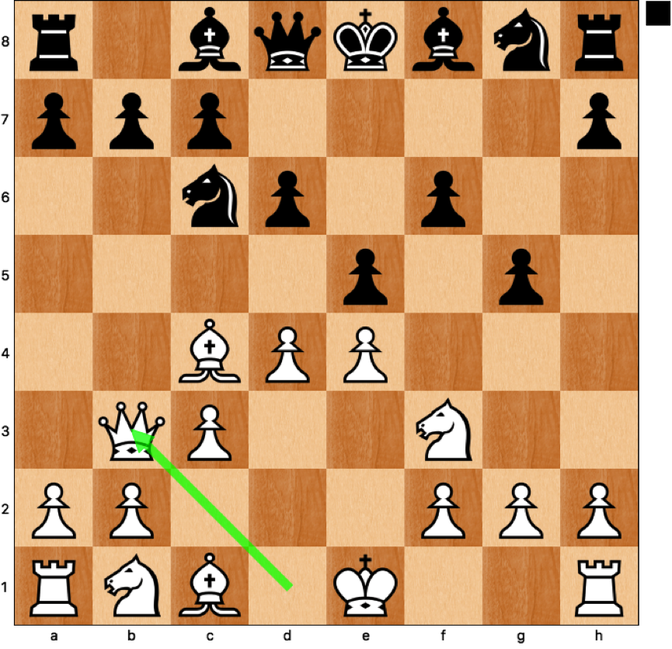 Well played Mrs G.
This secures the centre for white and gives him the potential to develop his queen to b3 forming a battery with the c4 bishop. Mrs G will have to develop quickly and needs to start to fight for control of those white squares. Another pawn move? And more weakening of the white squares! 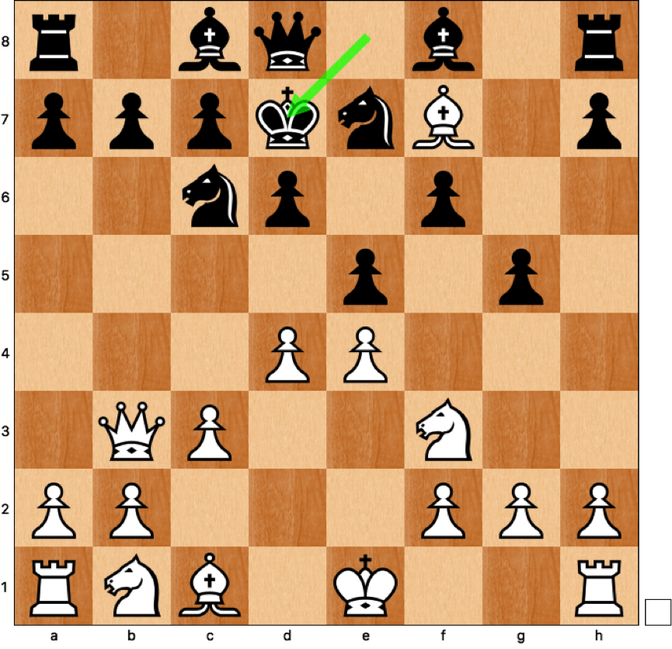 One benefit is that the g8 knight can now develop to h6 without being exchanged for the c1 bishop. But Mrs G has neglected one of the most important opening principals: develop your pieces! This creates an immediate threat: 7. Bxg8. 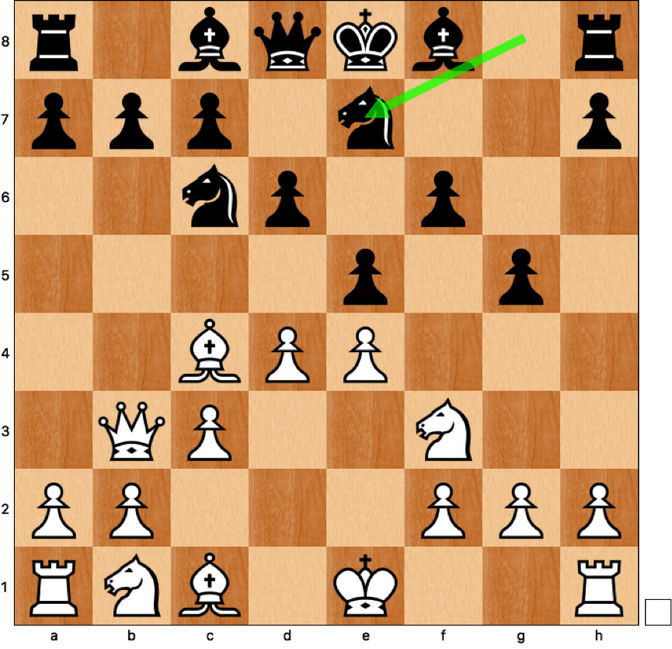 The knight is attacked twice and the Bf7 check also looks very annoying, as black will no longer be able to castle. 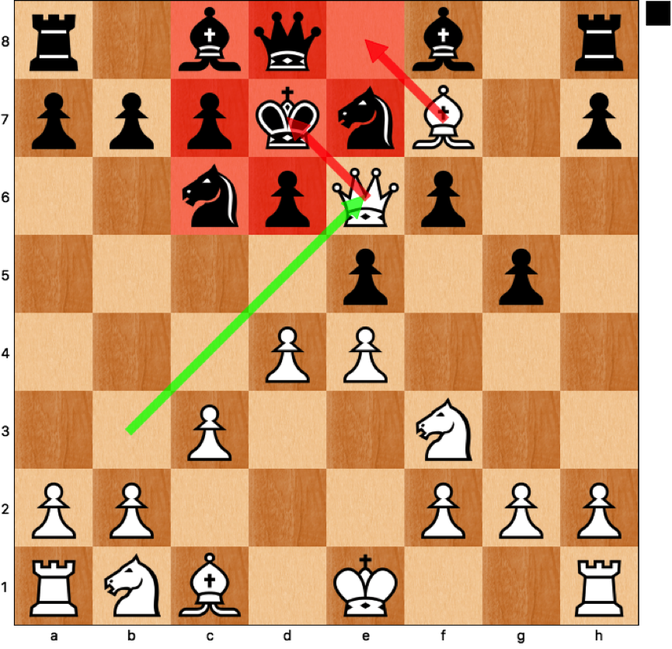 Luckily, 7... Nh6 gets the knight out of the way and defends f7. Or alternatively, 7... Na5 forks the queen and the bishop temporarily. In both cases black has quite an unpleasant position as she hasn't developed many pieces, but it's not curtains yet. Arrggggghhhh!! Now it is! Mrs Garrett said that as soon as she played this she realised she had gone horribly wrong. 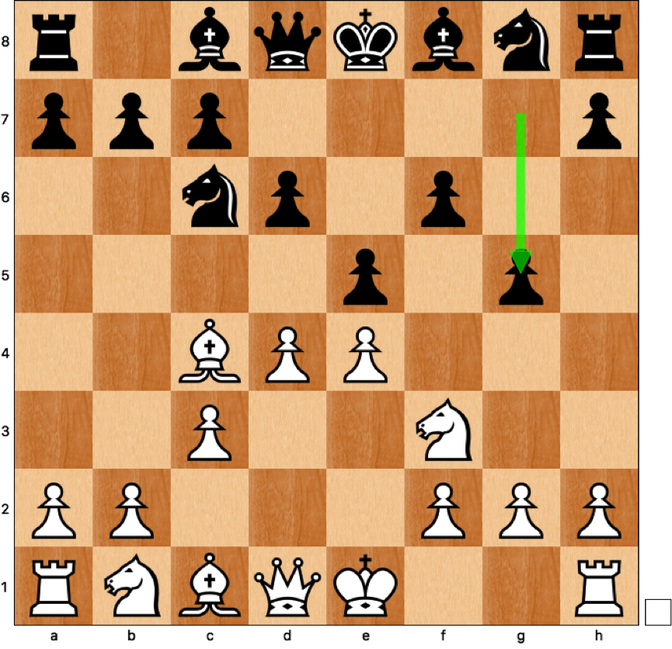 Always think what your opponent is likely to play next - before you make your move! Black's weakness on the white squares will be her downfall. Checkmate. 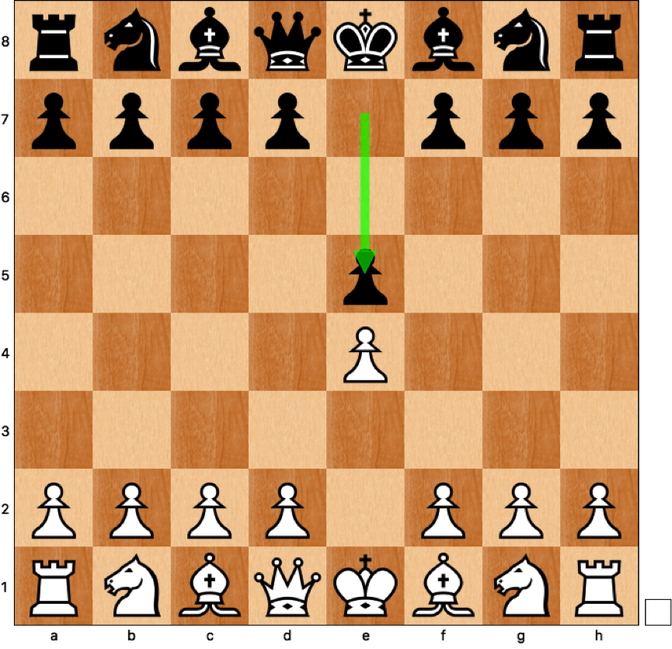 The king is trapped by his own pieces and white's control of the white squares wins the day. 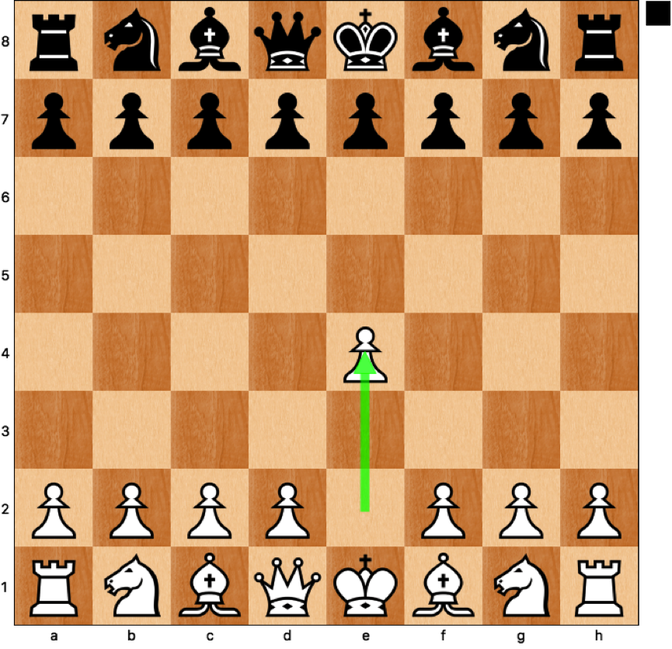 1) Develop your knights and bishops quickly in the opening. 2) Don't make any unnecessary pawn moves. 3) Always think what your opponents best reply will be to a move you're considering. Maintaining consistently high standards of work and behaviour in a happy and caring environment.